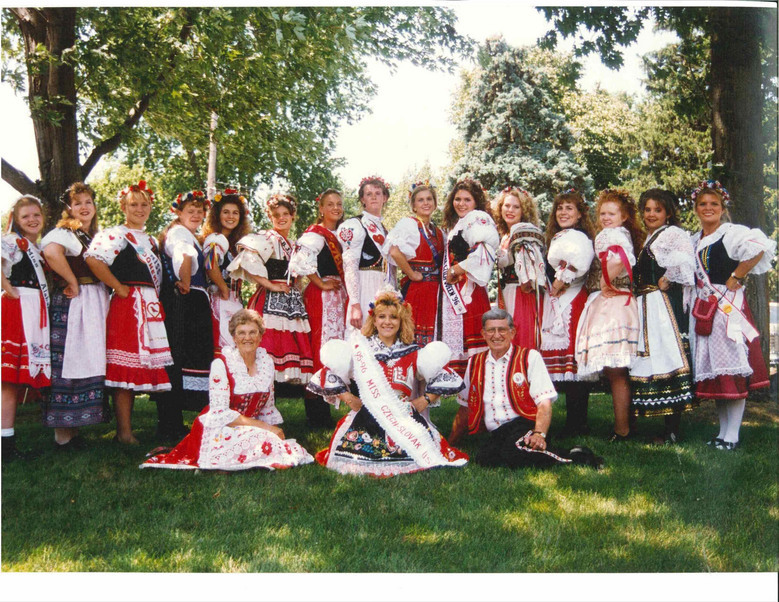 Jessica David, Minnesota Czech Queen of Morristown, MN was crowned the 1996-97 Miss Czech-Slovak USA Queen. Student at University of Minnesota – Duluth with goal as a psychologist. She is the daughter of Michael and Jean David. Marria Pratka, Oklahoma was 1st runnerup. 2nd runnerup was Traci Crofford, Oklahoma Sokol Queen. Jennifer Bridger, Nebraska Czech Heritage was the costume winner. Shantel Ringler, Kansas Czech Queen won the Talent award. Tiffany Bishop, Alabama was chosen Miss Congeniality.